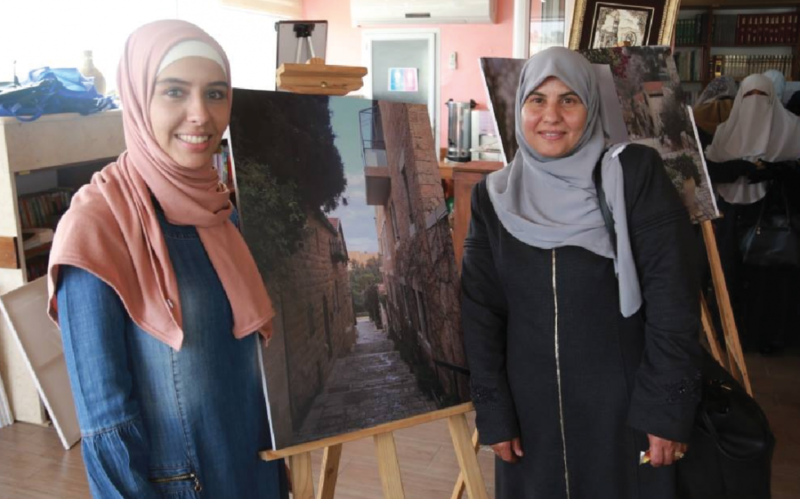 Burj Al-Luqluq Social Center Society opened, on Thursday 08/02/2018 “The Way We See it” exhibition for the photography course participants with the trainer Zaina Qatmira, who trained and collected their photos for the course of 4 months during their tours around Jerusalem. The exhibition was executed within Live the Burj 2 project funded by Vakt-I-Kiraat Turkish organization. Burj Al-Luqluq Executive Manager, Muntaser Edkaidek, opened the exhibition with a welcome speech which stressed on the importance of youth activities and organizing courses for them. The exhibition continued for a whole day with the participation of the participants’ families, friends and other Jerusalemite people interested in photography.